Many specialized radiographs have been described to visualize the carpus. However, standard wrist imaging requires only the posteroanterior (PA) and lateral views which are detailed below. In our opinion, these two films are sufficient in most clinical situations including evaluation of distal radius fractures. Oblique views and other nonstandard views are of little value and may, in fact, lead to confusion regarding the diagnosis. Position – Patient is sitting with shoulder flexed approximately 90-degrees, elbow flexed 90-degrees and forearm pronated. Palm is placed flat on the x-ray cassette. X-Ray Beam – Centered on the mid-carpus, directed posterior to anterior and perpendicular to the cassette. Demonstrates – View should show metacarpal bases, carpal bones and distal radius and ulna. 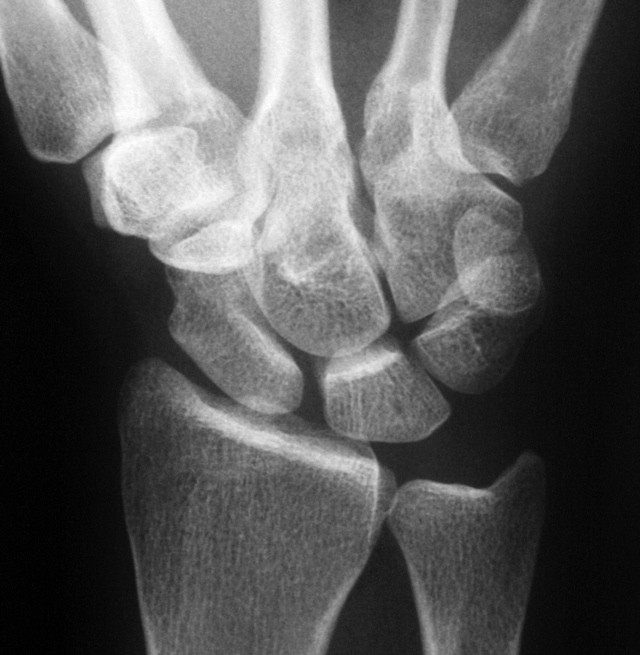 Relative length of the ulna with respect to the radius, known as the ulnar variance, may be measured from this radiograph. Position – Patient is sitting with elbow flexed 90-degrees, forearm in neutral rotation and thumb directed upward. 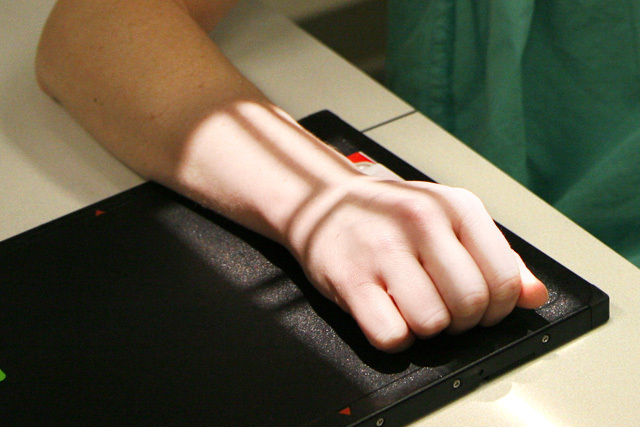 Ulnar aspect of forearm and hand is placed on the x-ray cassette. X-Ray Beam – Centered on the carpus and directed perpendicular to the cassette in most situations. 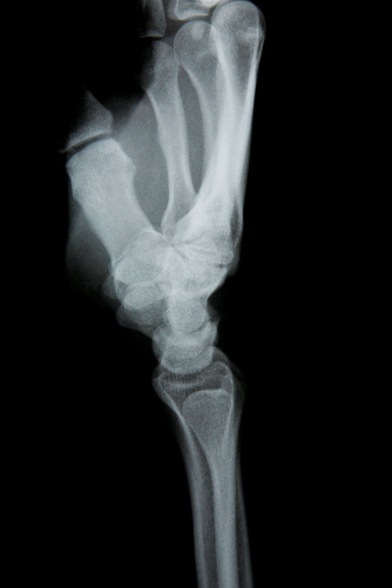 However, for evaluation of distal radius fractures, the x-ray beam should be directed 10 to 20-degrees cephalad to better visualize the radiocarpal joint. Demonstrates – The dorsal-volar alignment of the radius and ulna; the co-linearity of forearm bones, carpus and metacarpals; carpal instability patterns; anatomy of distal radius fractures and adequacy of distal radius fracture reductions.